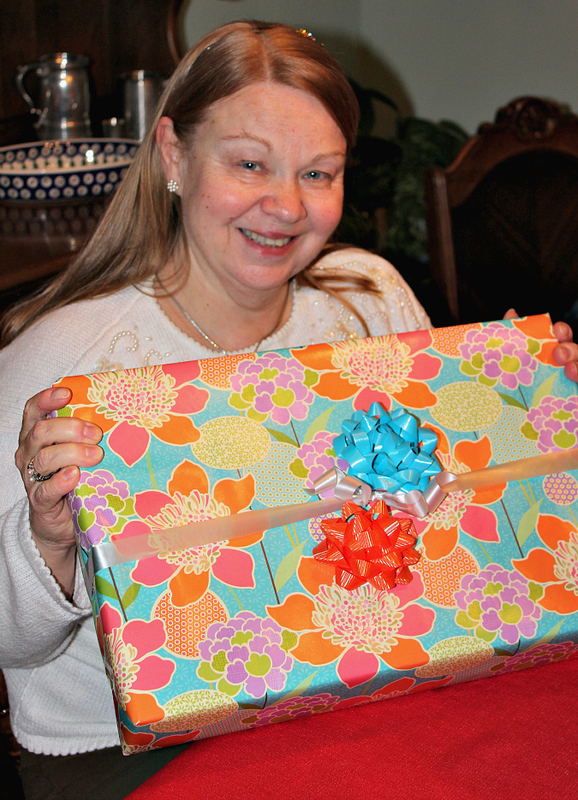 love, laurie: celebrating mom's birthday! saturday was my mom's birthday and we were lucky to be able to spend the entire day with her! 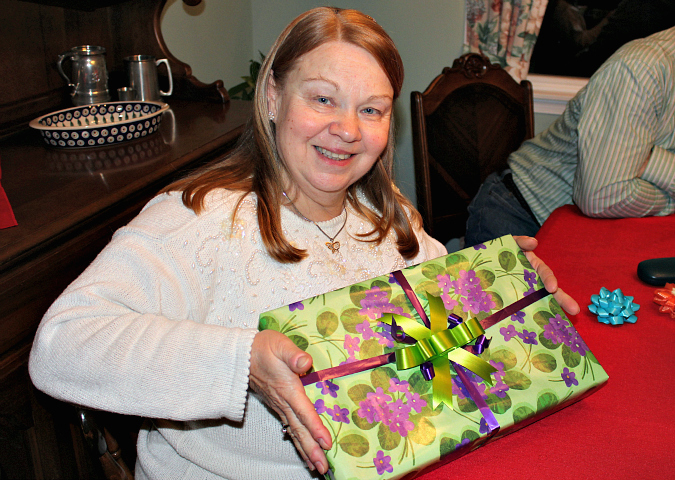 after doing some christmas activities, we celebrated with cake and presents at ryan's parents' house. 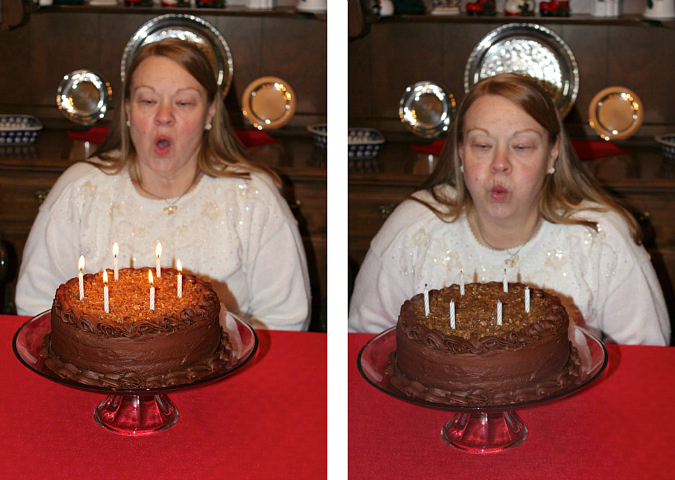 for her birthday, my mom wanted a german chocolate cake. we haven't had one in such a while, so it was a nice treat. 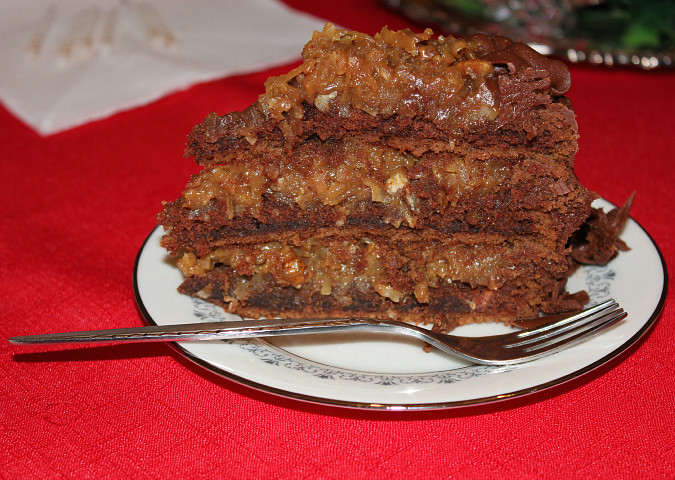 (we used this recipe that we made for my dad's birthday a few years ago.) 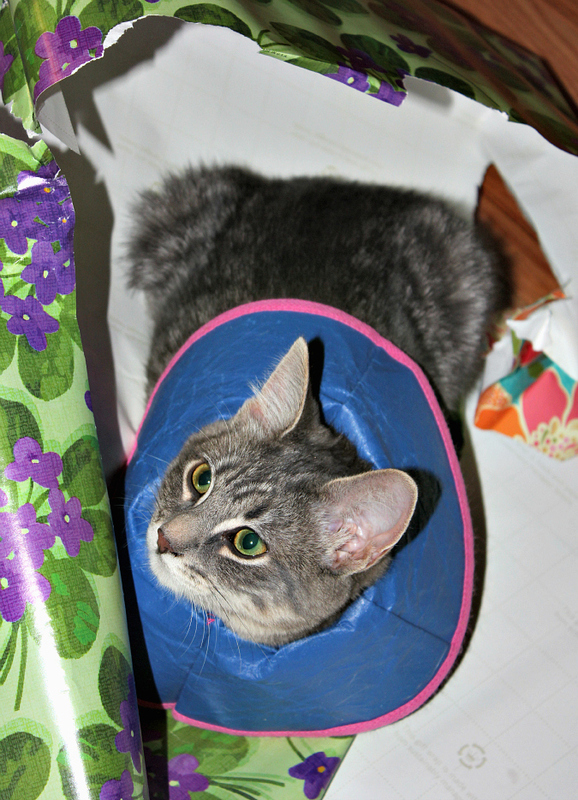 after cake, my mom opened her presents, and pepper got in on the action playing with the wrapping paper! 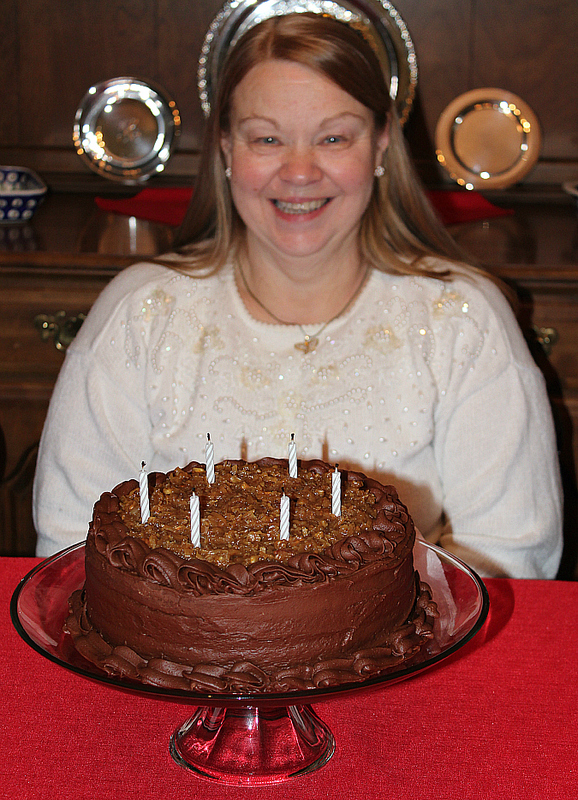 it was so nice to be able to spend the day celebrating my mama's birthday! Thanks for a great day. 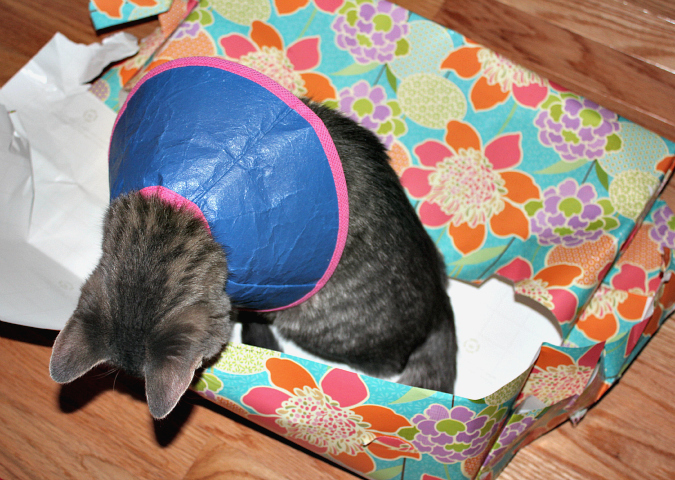 It looks like Pepper was my present. Cake was delicious. Your Dad pointed out that in the first picture I am wearing a halo. Of course, my angel is sharing through.